I don't think that's for Maxx Force. I think that is for Holiday In The Park if I'm right, you know where they put the Christmas Trees on. Random Note: I find it funny that the Fright Fest guide map still has Pictorium's building on it, even though it says Maxx Force over it. JT2002 wrote: Random Note: I find it funny that the Fright Fest guide map still has Pictorium's building on it, even though it says Maxx Force over it. Maybe they will even have the Pictorium building on the 2019 normal map next year. ^ Yeah, they’ll call it IMAXX. There are holes in the ground for footers for Maxx Force. You can see them while on Whizzer. There are also what look to be rebar cages near the construction trailer that is near Whizzer's break run. Unfortunately, I was not able to get any good pics so you guys will have to trust me on this. Jiggidy has posted some construction pics from the park today. Gottastratta looked like those things you asked about are for the ride. Maybe the footers from the looks of it. On the name survey, before the coaster was announced, I actually commented that 'Maxx Force' sounded like an energy drink or a cleaning product. Ha! let's just hope our maxx force also gets the tough stains out! Maxx Force looks to be a great addition and I can't wait to come back to ride it next season. I see it being as popular as Goliath during its first one and a half seasons but then people realize its rather short. For whatever reason most just want a good wait to ride time ratio. With that being said Raging Bull is still very popular. CoasterCale wrote: Maxx Force looks to be a great addition and I can't wait to come back to ride it next season. I see it being as popular as Goliath during its first one and a half seasons but then people realize its rather short. For whatever reason most just want a good wait to ride time ratio. With that being said Raging Bull is still very popular. B&MGuy35 wrote: Jiggidy has posted some construction pics from the park today. Gottastratta looked like those things you asked about are for the ride. Maybe the footers from the looks of it. Those cages for the footers were the things in was talking about. They are underneath Whizzer's break run just like I said. While the trim is a tad annoying, it does not ruin the ride experience at all. It’s still a great ride in my opinion! The ride is already starting to prepare to take shape nice, if only some other Six Flags parks started construction that fast already. I took a photo of the construction site for Maxx Force this past Friday and photoshopped in an image from my NL2 recreation of Maxx Force. I think the ride will look fantastic! Airboss wrote: I took a photo of the construction site for Maxx Force this past Friday and photoshopped in an image from my NL2 recreation of Maxx Force. I think the ride will look fantastic! 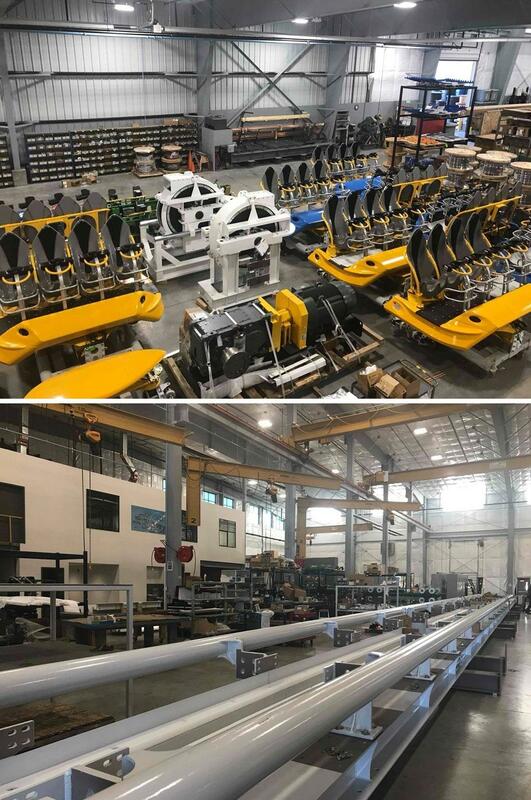 Quick question... since 2012.... has Six Flags purchased any Roller Coaster manufactured overseas? B&M, Premier, RMC, and S&S are all Manufactured in the United States and it seems that those Domestic manufacturers are the only ones that Six Flags works with anymore. Possibly to save on shipping costs, tariffs, etc. Forgot to post this yesterday, but as I was driving by the backside of the park, I saw there was a semi-truck going into the Washington street entrance that had a ton of sheet metal rolled up in tubes. I was thinking that they might be for the foundation for Maxx Force's footers, but then again they could be for anything. Sorry that I couldn't get any pictures though. I wouldn't be surprised if the track ends up being for Maxx Force and the trains for Steel Curtain at Kennywood. JT2002 wrote: Forgot to post this yesterday, but as I was driving by the backside of the park, I saw there was a semi-truck going into the Washington street entrance that had a ton of sheet metal rolled up in tubes. I was thinking that they might be for the foundation for Maxx Force's footers, but then again they could be for anything. Sorry that I couldn't get any pictures though.